Drug War is a tense film about an anti-drug trafficking police operation. 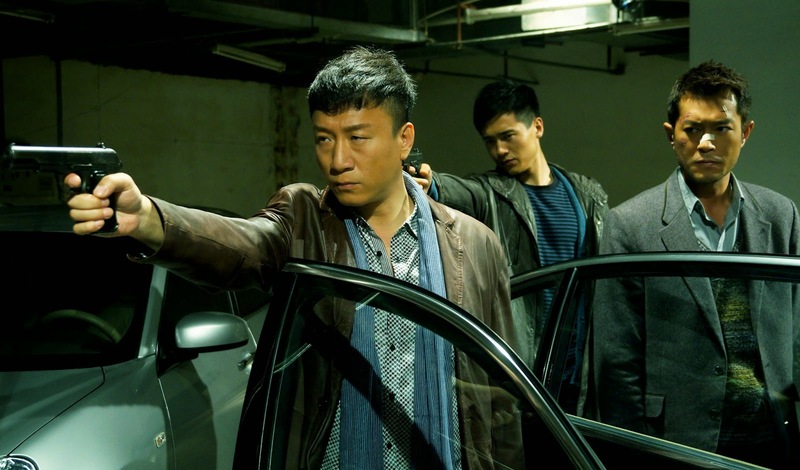 It’s also the first crime thriller shot in mainland China for acclaimed Hong Kong director Johnnie To. It's also one of those thrillers that won't necessarily want to know too much about beforehand so I'll try to keep this brief. After his meth lab explodes, leaving him scarred and his wife dead, Timmy Choi Tin-ming (Louis Koo who you might remember from Accident), recklessly crashes his car into a restaurant and ends up in a hospital. While there, the police, who have just brought in another group of drug traffickers, take notice of him. Once that they have him, Captain Zhang (Sun Hong-Lei) informs Timmy that his crimes warrant the death penalty, but they offer him the chance to redeem himself by helping them to take down a powerful drug cartel. It’s the classic inside man thriller; the police vs the drug cartel. Of course things are not so simple for Timmy, who must cooperate to survive, even though it would mean betraying everyone he knows, including his brother and grandfather. It is fast paced throughout, in fact, so fast there is hardly any character development at all, it just moves from one event to the next in fairly rapid succession. This may be my one major complaint about the film. It almost never stops to breath and give us enough about the characters to care that much about them. Captain Zhang is a cop but must frequently go undercover acting as one of the drug traffickers. It’s a performance within a performance and Sun Hong-Lei is very good. He is one of the best things about the film. Timmy, on the other hand, is a desperate character who has to decide which side he wants to be on or which offers the best chance for survival. In some ways it reminded me of a mixture of Infernal Affairs and old classic James Cagney gangster flicks (most of which end poorly for Cagney's gangster: specifically Angels with Dirty Faces and White Heat). Sadly Drug War isn't quite as good as any of these other films. It's not a bad film, it just isn't as solid or engaging as these other films. Where old Cagney gangster films favored following a central character through desperate times, this film is something of an ensemble that follows several characters (Timmy and Captain Zhang being the primary characters), but the film favors action over character and storytelling. Still, it's enjoyable enough, if this type of film is up your alley, and you have Netflix it's worth the hour and forty five minutes.